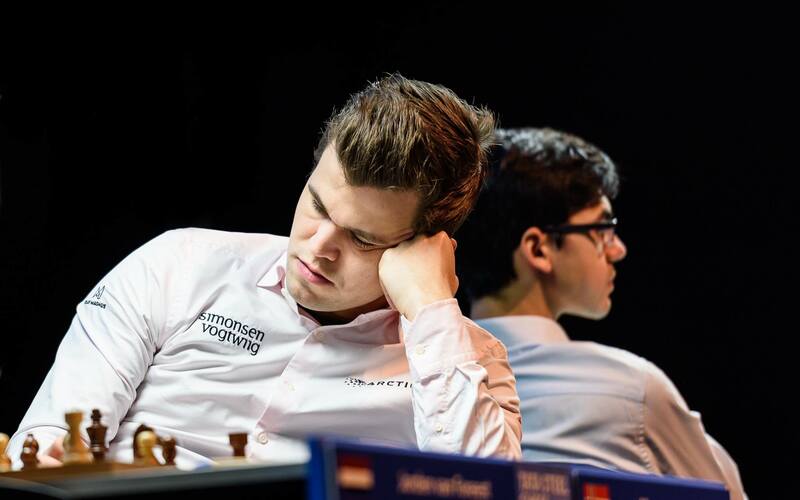 Magnus Carlsen pounced on an endgame mistake by world no. 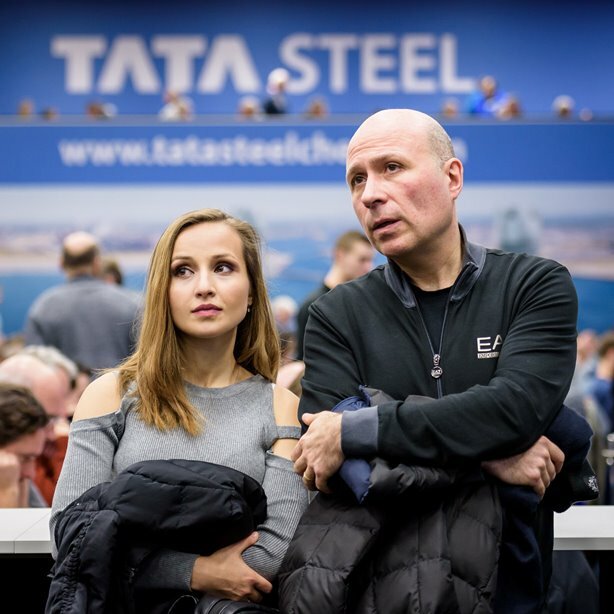 3 Shakhriyar Mamedyarov to win a 2nd game in a row and catch Ding Liren and Ian Nepomniachtchi in the 2019 Tata Steel Masters lead. 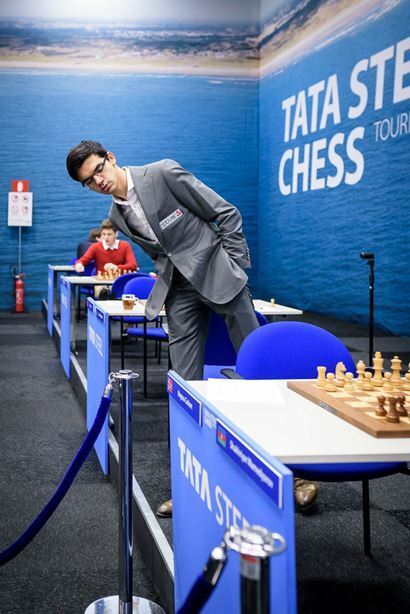 He was joined by Anish Giri, who won a third game in a row with the black pieces after spotting a winning trick on move 14 against Jan-Krzysztof Duda. 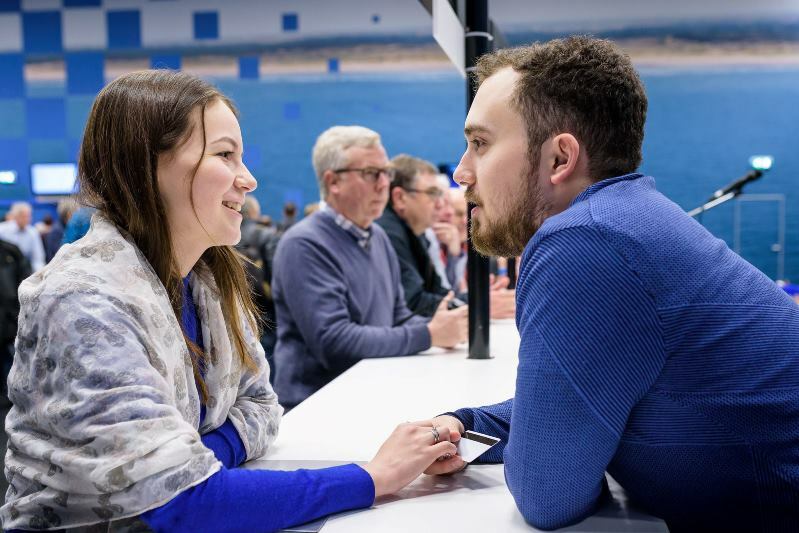 Jorden van Foreest played the move of the day to beat Vladimir Fedoseev, though both that game and the drawn Rapport-Kramnik saw wild swings in evaluation. At one point during Round 6 it looked as though we were heading for three black wins, but in the end it was finally a good day for White! I think today wasn’t a brilliant game, but I managed to outlast him. It was one of the days when you’re a little better and your opponent eventually makes a mistake and loses. 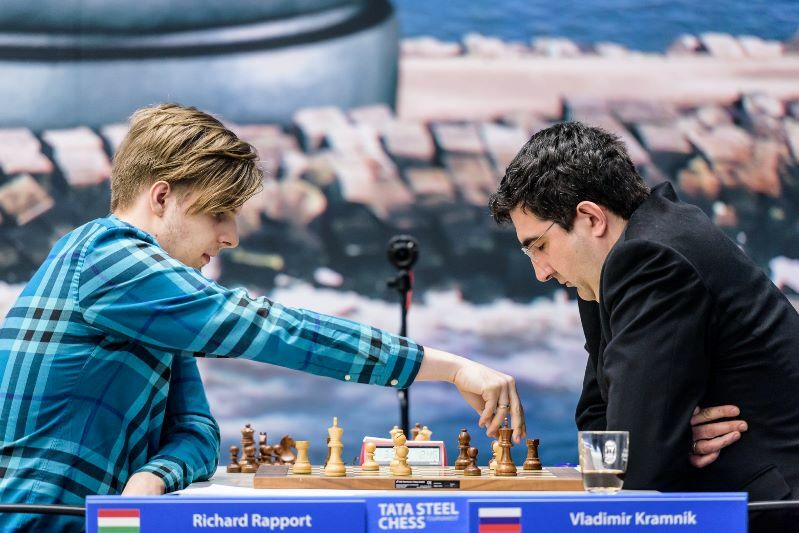 When you face a player who knows theory as well as Anish Giri the temptation to go for an offbeat opening that might get him out of his preparation is strong. Ian Nepomniachtchi seemed to demonstrate how that might succeed in Round 1, when he played the Pirc Defence and scored an amazingly fast win. Since then Giri has been a man transformed, however, and in Round 6 Jan-Krzysztof Duda’s decision to begin 1.e4 e5 2.Nf3 Nc6 3.g3!? backfired badly. 14…f4! A winning move that Peter Svidler had been suggesting for a couple of moves already. Giri’s timing was perfect, though, since after 15.gxf4 he now had the devastating follow-up 15…Ncd4!! and, objectively speaking, White could even resign. The move you want to play, 16.Nxd4, sees the e3-bishop trapped after 16…exd4. Duda here thought for almost 43 minutes before playing 16.Bxd4, when after 16…exd4 the f4-pawn – and hence the white king position – are critically weak. 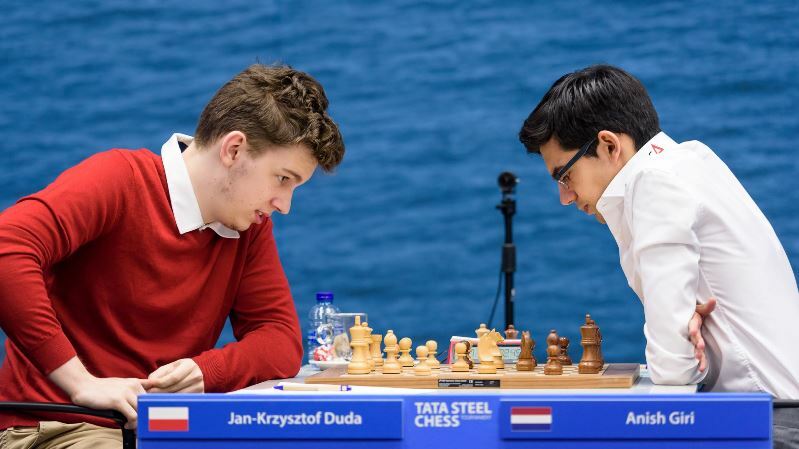 To Duda’s credit he managed to put up stiff resistance in the remaining 30 or so moves, but Giri never spoiled his advantage. I thought I was much worse and getting outplayed and then somehow he started playing very quickly and also making some mistakes, and after the time control was over I found myself in a much better if not winning position. The rook can’t be taken since 39…Qxd1 40.Qc4+! will lead to mate. 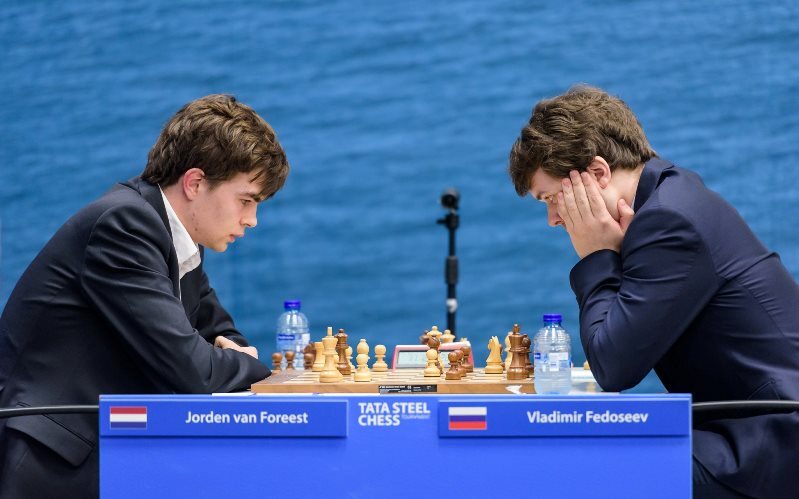 After that Jorden won easily, though the feeling remains that if Fedoseev had taken more time he could still have posed serious problems. Perhaps, however, Fed’s thoughts were already on Round 7, when he faces Magnus. 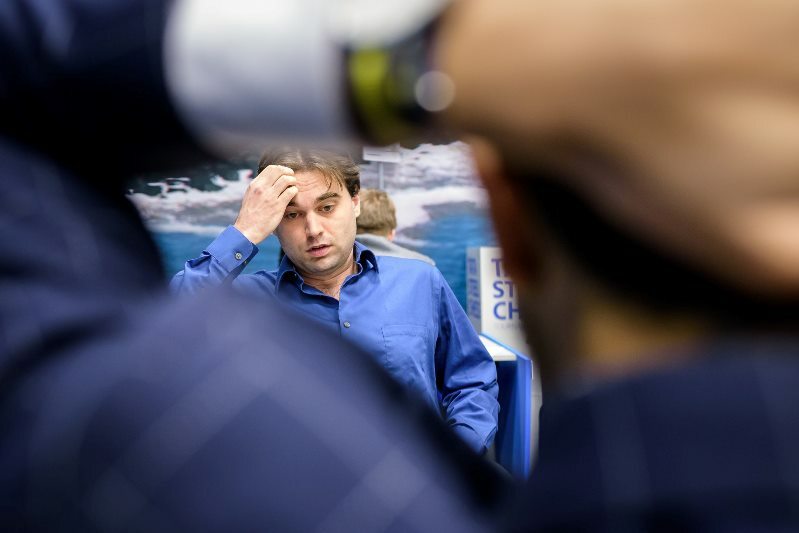 Sam Shankland recovered from an opening failure the day before to take less than a minute on each of his 18 moves as he held Vidit to a draw in a g3-Grünfeld. Anand-Nepomniachtchi lasted only 4 moves longer, but featured a tense struggle after Nepo managed to surprise Vishy early on in a 6.Bg5 Najdorf. 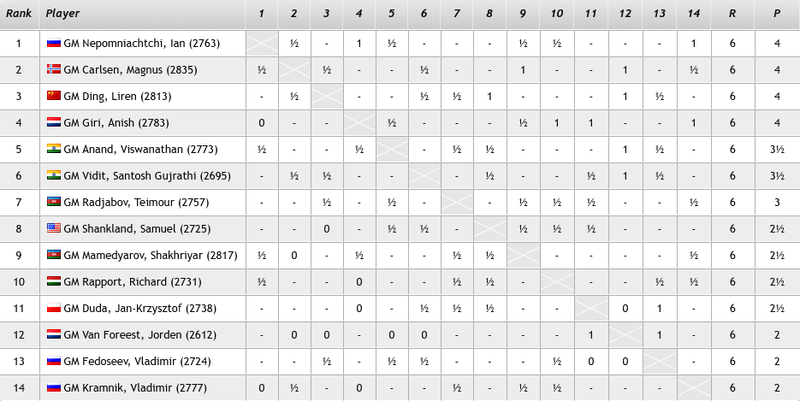 Ding Liren-Radjabov saw the Chinese no. 1 press for 75 moves to try and claim the sole lead, but he fell just short. Rapport may have feared getting trapped in a mating net, but 39.f5! was the best chance of winning the game. Instead after 39.fxg5 he had tripled g-pawns and eventually had to suffer to make a draw, with Kramnik not stopping when the game came down to rook vs. knight. The 94-move game ended with bare kings. 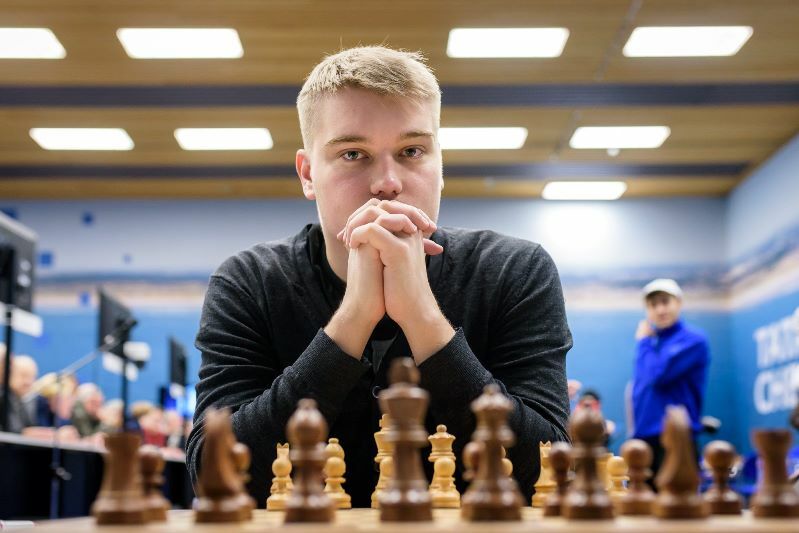 On Saturday in the Masters Fedoseev-Carlsen looks like a decent chance for the World Champion to make it three wins in a row, we have the classic Kramnik-Anand and two leaders meet in Giri-Ding Liren. You can also expect the players with White to gun for a win in Shankland-Van Foreest, Nepo-Duda and Mamedyarov-Rapport. In short, you won't want to miss it!